Swifno is the most convenient and reliable way to have your packages delivered across most cities in Nigeria. With Swifno you are sure to get the best courier services available and affordable too. We say this, because of the wide coverage of our tested and trusted Courier Service Providers. Cutting across Nigeria and providing close-to-perfect Courier Services. Bearing in mind Courier Service best practices, we work towards meeting your needs anywhere you are in the country. Our service framework has been built in such a way that it accommodates low pricing and as such all and sundry can afford to our services. All it takes is just a click away. As a web-based/online Company, we take pride in our mobile application - The Swifno App. The Swifno App. is our courier service mobile application and is accessible to anyone who owns and can operate a smartphone. 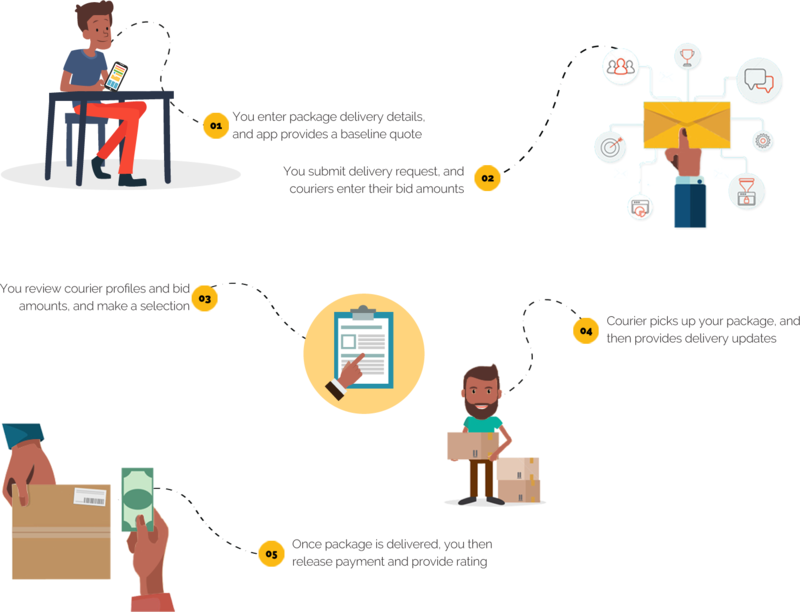 On the Swifno App, you can register your delivery and bid for your preferred Courier Service Provider, in the comfort of your; home, office, gym, etc. Online payments can be made through the various Interswitch powered debit cards. All debit card details and personally identifiable information will NOT be stored, sold, shared, rented or leased to any third parties. The Swifno App. 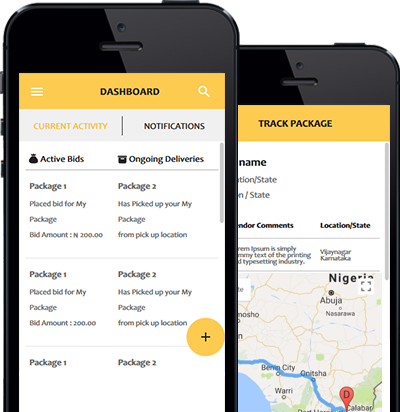 makes available the platform to track your package/delivery in which the Courier Service Provider provides regular updates (daily, or more frequently), on the status and location of the delivery package. The Courier Service Provider also updates the delivery status for your viewing pleasure, when the package has been delivered to the recipient. For each successful delivery, you are required to provide a rating for the Courier Service Provider that you chose or bidded for. This helps other Swifno users patronize such a Courier Service Provider and further creates a healthy competition between Courier Service Providers.